I’ve been a fan of Bino & Fino for several years. I’m pleased to see the brand growing from strength to strength. 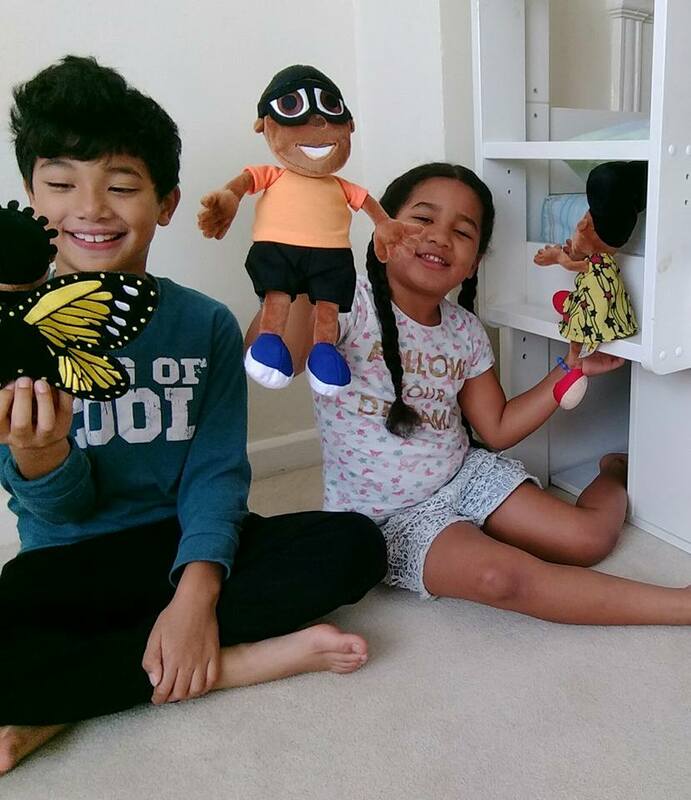 If you didn’t already know about them, Bino and Fino is an African educational cartoon about a brother and sister who live in a modern day city in sub- Saharan Africa. In each episode Bino and Fino, with the help of their friend Zeena the Magic Butterfly and their family, discover and learn things about the world… It’s animated in Nigeria. Back in 2013 we reviewed the first Bino & Fino DVD. He was too young to verbally articulate his thoughts but I’m pretty sure he enjoyed seeing the sibling, the vibrant colours and patterns not the mention Zeena the Magic Butterfly. We recently received a package from our ole friends at Bino & Fino HQ with items from their knowledge play set and just in time for Black History Month too. Bino & Fino Volume 2 DVD has five episodes. My favourite was ‘Fino Loves Football’. We are all about girl power in our household. It was a nice touch that it was Fino’s grandfather who told her football is for everyone. The children enjoyed ‘Where Does Electricity Come From’ and it certainly made my job easier. I’ve been try to explain to them for a while where electricity comes from and what it’s used for. It also brought back my own memories of childhood in Trinidad. Power cuts were a norm and that was usually the time the elders would tell stories about the ‘olden days’. In the episode Zeena the Magic Butterfly takes Bino and Fino on a trip to show them The River Niger and where electricity comes from. Encased in a protective bubble created by Zeena they travel along the river to see the how the turbines work. The plush toys are very quality and quite detailed, like their animated selves. They are hand washable. In the programme as well as in ‘real life’ Angelo adores Zeena the Magic Butterfly He believes in magic and is a friend to all things magical. While Valentina plays with Bino & Fino. She loves Fino’s dress and pomp pom hairdo. 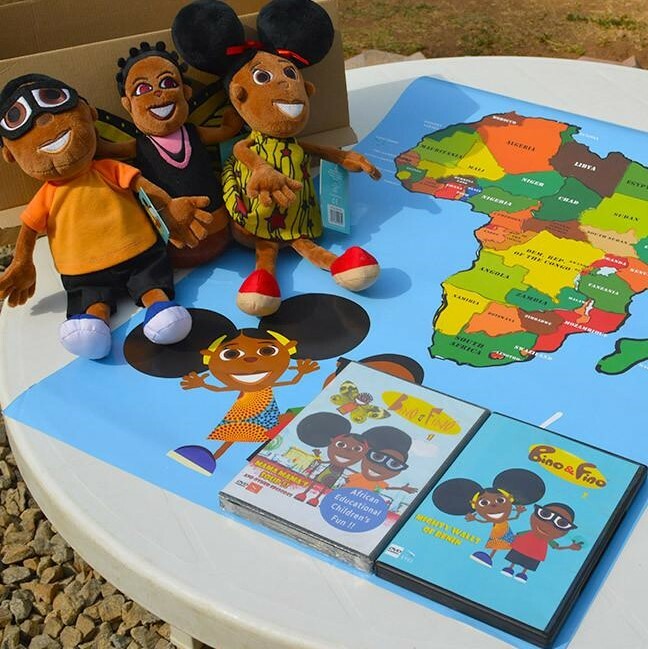 The Bino & Fino African Knowledge Play Set is a fun and educational package that little ones will enjoy. Children will learn about Africa in a way they may not have in the past. You can purchase the DVDs and the plush dolls separate if you wish. Visit the Bino & Fino website for more information all all the product.